The question was asked, is the Holy Spirit still involved in the earth after the rapture. 2 Thessalonians 2:7-8 ESV (7) For the mystery of lawlessness is already at work. Only he who now restrains it will do so until he is out of the way. (8) And then the lawless one will be revealed, whom the Lord Jesus will kill with the breath of his mouth and bring to nothing by the appearance of his coming. While many translate this passage with the word “he”, that word improperly conveys the sense that we need to understand. Dake’s commentary tells us: “The only argument used to prove that Holy Spirit is the hinderer of this passage is the pronoun he. It is believed that the church could not be referred to as he because it is the bride of Christ; that the church is spoken of as a virgin, a woman, and that it is referred to by feminine pronouns. 1 Corinthians 12:12-13 KJV (12) For as the body is one, and hath many members, and all the members of that one body, being many, are one body: so also is Christ. 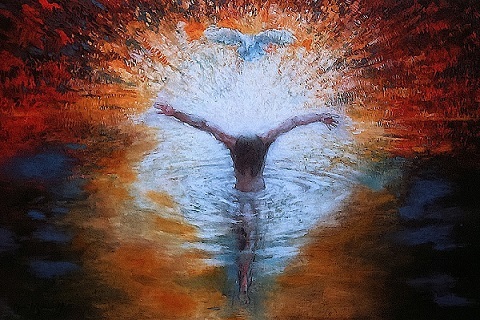 (13) For by one Spirit are we all baptized into one body, whether we be Jews or Gentiles, whether we be bond or free; and have been all made to drink into one Spirit. 1 Corinthians 12:27 KJV (27) Now ye are the body of Christ, and members in particular. Ephesians 1:22-23 KJV And hath put all things under his feet, and gave him to be the head over all things to the church, (23) Which is his body, the fullness of him that fills all in all. Colossians 1:18 KJV And he is the head of the body, the church: who is the beginning, the firstborn from the dead; that in all things he might have the preeminence. Since we are “in Christ”, then it safe to assume that as he is, so are we in this world, and Christ is a man. Yes, I realize that this is a simple answer but to the educated with a Berean attitude, it works. The hinderer of lawlessness must therefore refer to the Church being taken out of the world. Now, there is no denying the Holy Spirit plays a role in empowering those who are willing to do battle against a formidable opponent, but it is possible, and you are not alone; there are others like you, with a comparable spirit and they are standing with you against the enemy being unleashed in full force. Just because the Church gets removed from the earth does not mean that the Holy Spirit gets removed as well. Allow me to make my point. Peter stood on the day of Pentecost and quoted from Joel chapter 2. He did not quote the entire chapter, it was not pertinent, but there was certainly a context even to what he quoted, and yet by unction of the Holy Spirit he stated that this prophecy had been fulfilled in the hearing of the Jews and visitors in Jerusalem that day. What did he say? Joel 2:28-29 ESV “And it shall come to pass afterward, that I will pour out my Spirit on all flesh; your sons and your daughters shall prophesy, your old men shall dream dreams, and your young men shall see visions. (29) Even on the male and female servants in those days I will pour out my Spirit. Is this what we see today, God pouring out his spirit upon all flesh? It does not seem like here in America, but it is happening, as Muslims are coming to Jesus in record numbers. What then is the context of Joel 2? Joel 2:1-2 ESV Blow a trumpet in Zion; sound an alarm on my holy mountain! Let all the inhabitants of the land tremble, for the day of the LORD is coming; it is near, (2) a day of darkness and gloom, a day of clouds and thick darkness! Like blackness there is spread upon the mountains a great and powerful people; their like has never been before, nor will be again after them through the years of all generations. Joel 2:10 ESV The earth quakes before them; the heavens tremble. The sun and the moon are darkened, and the stars withdraw their shining. Joel 2:30-31 ESV “And I will show wonders in the heavens and on the earth, blood and fire and columns of smoke. (31) The sun shall be turned to darkness, and the moon to blood, before the great and awesome day of the LORD comes. What the Prophet Joel spoke of is the end of time; the time of judgment upon the earth. Considering the number of volcanoes spewing columns of smoke into the air, and smog so bad that many Chinese cannot even see the sun, where are we in this time-table? Since the Holy Spirit saw fit to use the Hebrew for the Holy Spirit (ruach) wouldn’t it be appropriate to think that the Holy Spirit continues doing its work during the seven-years of wrath as well, and we can see this in Zechariah’s prophecy. When the Jews put him on the cross, did they mourn for him, as one mourns for an only child, or over a firstborn? No, they mocked and laughed him to scorn. So obviously Zechariah is talking about the end of time, when they shall physically see him once again. What is it that causes them to mourn? It is a spirit of grace and mercy. Does that come from anything other than the Holy Spirit? No. Isaiah the prophet used the word ruach as well. As convincingly as we discovered that it is the Church that hinders the Antichrist from erupting upon the world, we find that the Holy Spirit of God is still a vital aspect of the end times. There are examples to be found showing people being drawn to God, the Father. John 6:44 ESV No one can come to me unless the Father who sent me draws him. And I will raise him up on the last day. I can hear the whining now, “You said the Holy Spirit is an aspect of the end times, and yet you are talking about ‘the Father who sent me’ drawing them.” Let me ask you, how many names does the Father have? In Genesis 1:1 he is called Elohim. ‘ĕlôhı̂ym – el-o-heem’ – Plural of H433; gods in the ordinary sense; but specifically used (in the plural thus, especially with the article) of the supreme God. So God, the Father is a plural God, therefore He sent the Holy Spirit, and we know that because people are still drawn to the Father. John 12:32 KJV And I, if I be lifted up from the earth, will draw all men unto me. Now we have two references of being drawn and they are both from John’s gospel. One speaks of Jesus doing the drawing, while the other speaks of God the Father doing the drawing. 1 John 5:8 BBE There are three witnesses, the Spirit, the water, and the blood: and all three are in agreement. Jesus said, “If you have seen me, you have seen the Father.” So this goes for the Spirit as well. They are in complete unity and operation. Avoid the time of wrath if you can, enlist now. Romans 10:9 ESV because, if you confess with your mouth that Jesus is Lord and believe in your heart that God raised him from the dead, you will be saved. This entry was posted in End times, Hope, In Christ, Prophetic, Thoughts, Thoughts on scripture and tagged Apostle Peter, Body of Christ, Christ, end times, Faith, God, God's word, Holy spirit, Jesus, last days, Pentecost, Prophet Joel, rapture, Scripture, the church, thoughts. Bookmark the permalink.